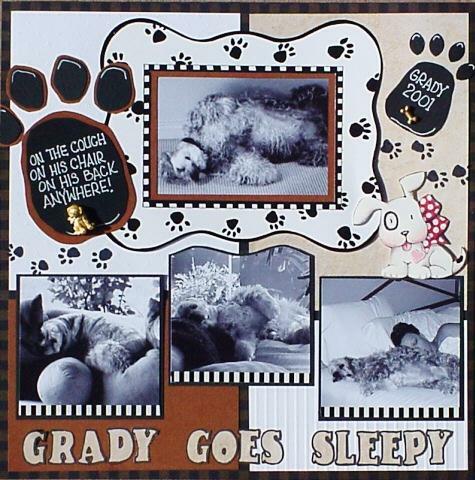 Love this layout, probably because I love Grady so much. This is my first time using black/white photos. I used neutral textures to create the blocked background. The large paw print frame was one I bought. I inked the paw prints onto the background so it looked like they flowed off the frame. I made the two large paw prints to use for journaling and pinned on the small dog and bone jewlery for punch. The puppy with the red bow is a dye cut that I mounted with a pop-dot.